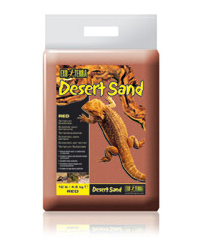 Exo Terra's Desert Terrarium Sand is natural real desert sand with no added dyes or chemicals. The sand has been sifted to remove impurities and to obtain a homogenous sand grain size. "My first port of call for all my reptile needs."